Many people have their version of the White Whale, that thing they chase but can’t quite acquire or overcome. For 3L Peter Cavallaro it came in form of Pope Benedict XVI. Well, not the man so much as his signature and the acquisition of it. It’s no surprise that Cavallaro would eventually track it down as he is an avid collector of autographs with over 300 hundred signatures from a variety of famous people. 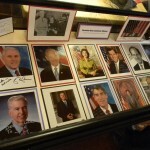 Replicas of a portion of his collection are currently on display in the Reading Room featuring figures from the last 50 years of American political and civil rights history. The autographed photos range from civil rights activist James Meredith to astronaut John Glenn and from Jimmy Carter to George W. Bush. Cavallaro said he’s been collecting over the last decade, some in person and some by mail. Regardless of method, he said the process is not unlike law school in that it requires research, planning and persistence in order to achieve success. 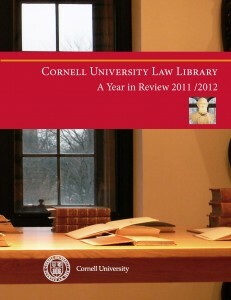 We’re pleased to announce the publication of our annual report, Cornell University Law Library: A Year in Review 2011/2012. It includes a Message from the Director, reports on Collections, Information Management, Reference and Research Services, and Access Services, an in-depth discussion of our digitization of the Trial Pamphlets Collection, and a list of our librarians’ professional activities. Some of the highlights from the past year that you can learn more about in the annual report include new librarians and staff, a new popular reading collection (both print and online), library materials on the move, added Sunday reference desk staffing, increased circulation of library materials, and a visit from Cornell Companions, a pet visitation program sponsored by the Cornell University College of Veterinary Medicine (a picture of the llama is in the annual report). For graphs, pictures, and more, visit Cornell University Law Library: A Year in Review 2011/2012. After last week’s blog posting about the Farewell Reception in the Rare Book Room, we received several inquiries about the future of our rare books and other special collections. We have good news: These collections will still be easily accessible. Certain materials will stay here at the law school in a secure, climate-controlled room. Most of the collection will be temporarily housed near the Cornell apple orchard in the Cornell University Library Annex, which provides 24-hour turnaround access to materials. The Annex is well equipped for storing material of this kind; in fact, it already houses some of Cornell University Library’s Rare and Manuscript collections. 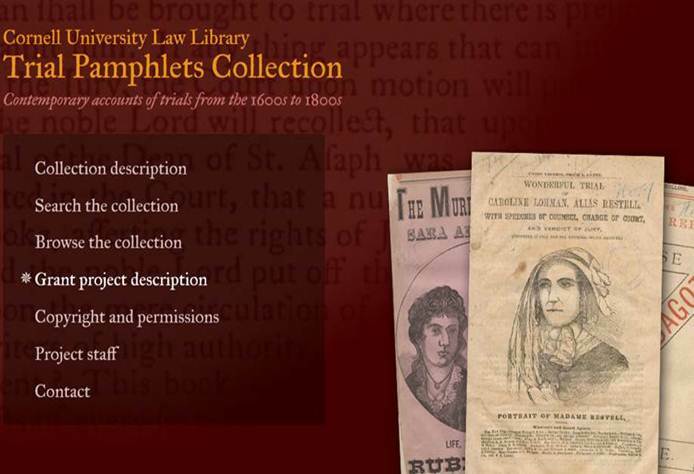 Users of our rare books and other special collections will continue to request these materials from and use them in the Law Library. And we have more good news — our library director, Femi Cadmus, has been working closely with the architects for Phase II of the Law School’s renovation project on a new rare book room. 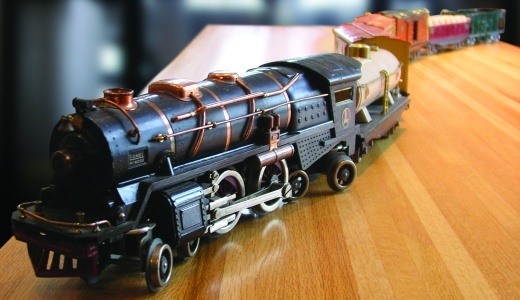 We’re looking forward to having a new, even better space to show off our treasures like the Scottsboro Train, pictured below. During the first three days of July 1863, Gettysburg, Pennsylvania, was the site of one of the bloodiest battles of the Civil War. 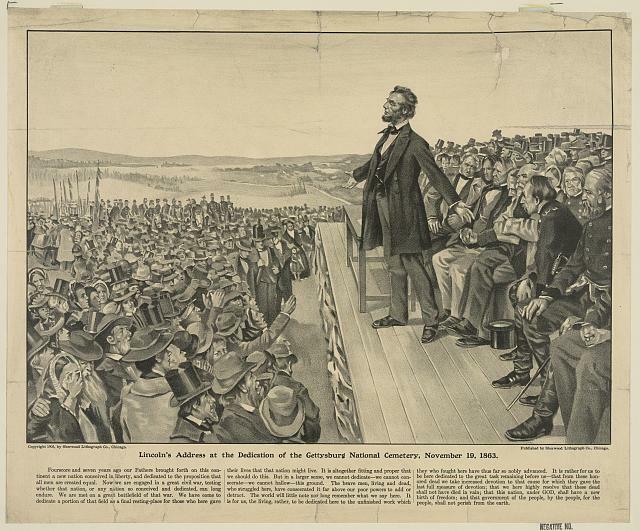 President Abraham Lincoln delivered his famous Gettysburg Address at the dedication of the Gettysburg Civil War Cemetery on this day, November 19, 1863. Famously, Lincoln drafted his speech on the back of an envelope on the train ride to Pennsylvania. He later wrote out five copies of the text, one of which is in the Cornell University Library archives. Cornell’s copy of Abraham Lincoln’s Gettysburg Address is one of five known copies in Lincoln’s hand, and the only copy owned by a private institution. The other four copies are owned by public institutions: two at the Library of Congress, one at the Illinois State Historical Library, and one in the Lincoln Room at the White House. For several hours one recent afternoon, Cornell Law Library’s Dawson Rare Book Room was transformed into a mini-film studio, complete with bright lights, microphones, and a teleprompter. It was the culmination of nearly six months of work by a group of Law Library staff and Cornell’s CyberTower video production team to produce a video featuring our collection of “Wild Bill” Donovan’s Nuremberg papers. The Law Library acquired the Nuremberg papers of General William Donovan in 1998 through the generous donation of alumni Henry Korn and Ellen Schaum Korn. Donovan’s role as director of the U.S. Office of Strategic Services (precursor to the CIA) and special assistant to the chief U.S. prosecutor at Nuremberg, Justice Robert H. Jackson, gave him a rare insider’s perspective on the Nazi war crimes trials. 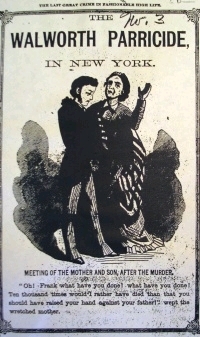 With the financial assistance of the Nathaniel Lapkin Foundation, the Library has been able to index and digitize some of the unique and historically significant portions of the collection and make them freely available online. When the Library was approached about the possibility of creating a short video to promote one of our special collections, we decided we wanted to highlight the Donovan papers for a number of reasons, one of which is the collection’s continuing relevance decades after the Nuremberg trials took place. The impact of the Donovan collection has extended in completely unexpected ways beyond its importance as an historical artifact. The Law Library team used research that had already been conducted on the collection as a basis for the video script, particularly the work of Professor Michael Salter of Lancashire Law School. We also drew upon the experience of Rochester attorney Donald Rehkopf, who used the collection while preparing an amicus curiae brief in Hamdan v. Rumsfeld. To add visual interest to the video, we searched the Internet for vintage newsreel footage and photographs that would complement the script. We also pored through the Donovan papers themselves to identify documents of particular interest to highlight. We even listened to CD tracks of somber music that would underscore the solemn theme of the story we wanted to tell. On the day of the video shoot, the CyberTower production team arrived at the Law Library and set up their equipment in the Rare Book Room. Our principal narrator had a touch of laryngitis that day, so two other law librarians were recruited on the spot to read parts of the script. As is the case with most movies, a portion of the footage we recorded ended up on the (digital) cutting room floor. Some of the edited material was restored in the final version, and we are quite pleased with the result. We extend our thanks to the CyberTower production team for their professional expertise in helping us bring our vision to reality. You can view “’Wild Bill’ Donovan’s Nuremberg Legacy” at http://cybertower.cornell.edu/lodetails.cfm?id=801. 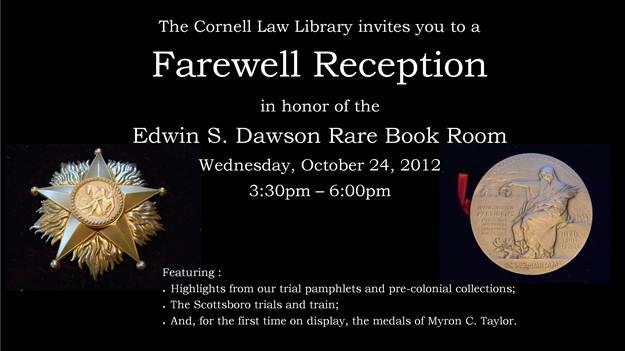 A new booklet called Rare Treasures of Cornell Law Library is now available in the law library. The booklet highlights some of the rare books and special collections we have in our Rare Book Room. Among these treasures are the Donovan Nuremberg Trials Collection of transcripts and documents, a first edition of Blackstone’s Commentaries, an extensive 19th Century Trials Collection (part of which Hein digitized for its World Trials Library), and many other rare and interesting materials. The Rare Book Collection houses several thousand volumes, mainly English and continental European materials. We also have Liberian Law and artifacts from the Scottsboro Boys Trial, which are interesting viewing. If you would like to look at any of these materials please contact me, Janet Gillespie, to make an appointment, or submit the online form. We also have periodic open houses when our treasures can be viewed. There are digital collections of some of these materials online, such as the Nuremberg Trial transcripts, which are being digitized courtesy of a generous grant from the Nathaniel Lapkin Foundation. Please pick up one of the beautiful pamphlets of Rare Treasures at the table in front of the Research Desk (in the Reading Room). 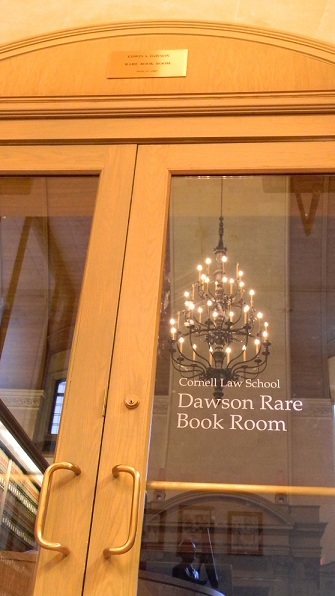 All members of the law school community are invited to an Open House for the Rare Book Room hosted by the Cornell Law Library this Thursday, March 11 from 11:00 a.m. to 1:00 p.m. The Rare Book Room is located on the eastern end of the Reading Room (on the Law Library’s third floor). Please join us for an introduction to some of the most treasured items from our collection, including the Donovan Nuremberg Trials Collection, the Scottsboro Trials Collection, and our collection of Liberian Law. Light refreshments will be served.